With no upswing in output growth and low consumer price inflation, the stage is set for cutting interest rates. 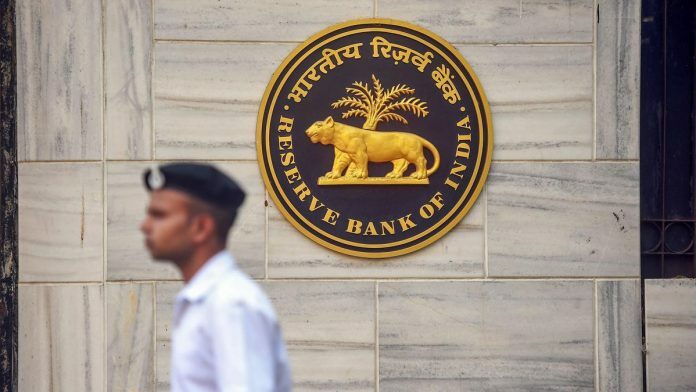 When it meets on 7 February, the Reserve Bank of India’s (RBI’s) Monetary Policy Committee (MPC) will decide whether there are inflationary pressures in the economy. India has seen a low inflation environment for four years. Low global prices, higher food production and the adoption of an inflation targeting framework have contributed to this outcome. The MPC is now at the risk of being overcautious. So far, all MPC projections of inflation have been higher than actual inflation witnessed. It is time to make a correction. However, the new RBI governor Shaktikanta Das may be inclined to demonstrate his independence from the government by not voting for a rate cut, citing various risks such as core inflation, fiscal expansion and US rate hikes. Inflation targeting does not mean inflation should be much below target. Given the low pressures on demand from investment and consumption growth in the present environment, inflation could fall even below the 2 per cent band around the target. 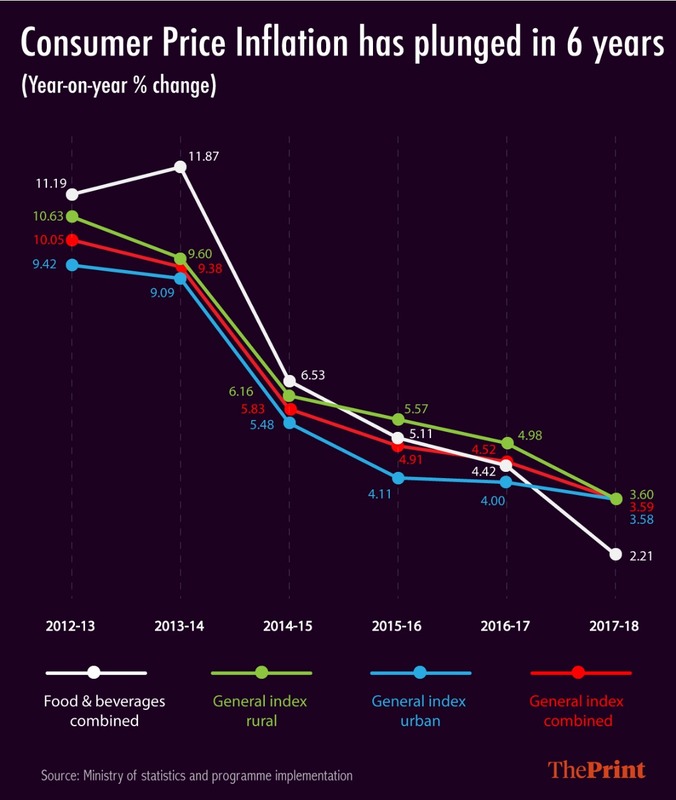 Sample this: Consumer price inflation fell to 2.2 per cent in December 2018. With no upswing in output growth and low consumer price inflation, the stage is set for cutting interest rates. Last week, Finance Minister Arun Jaitley expressed his unhappiness at India’s high interest rates. If the Union Budget keeps the fiscal deficit within target, the case for a rate cut is strong. However, a populist budget would provide the MPC with a reason to not cut rates. The MPC, on February 7, will decide if it must cut the repo rate, let it remain the same or raise it. The committee will hear out the position of the staff and each member will present his or her views. After discussion on macroeconomic conditions, the MPC will vote on a decision on interest rates. Considering the low inflationary conditions, it would be reasonable to cut rates. Four years ago, when India first adopted an inflation targeting framework there was general scepticism that such a regime would work for India. Yet, looking back at the evidence, inflation has remained within the 4 per cent plus/minus two per cent band around it. Sceptics could still say that this is not a success of the inflation targeting regime. It is because oil prices declined, agricultural production increased and global electronics and consumer durable prices fell during this period. Certainly, while these are factors have contributed to the low inflation environment, in the past they have not always resulted in low and stable inflation. Keeping to inflation targets would have been difficult if oil prices had been rising and the government had large fiscal deficits. With a low and stable inflation rate as the objective of monetary policy, we made sure that when inflationary pressures were rising, due to any other factors, policy levers were adjusted so that demand could be dampened. There remain many issues with the implementation of monetary policy in India. The transmission of interest rates to the rest of the economy is weak. For instance, the transmission to bank lending rates leaves much to be desired. Either it does not take place, or is too weak and has long lags. But these are long term issues and it would have been unwise to put off adopting an inflation targeting framework until they were fully solved. Supply side issues, rigidity in financial markets and, most importantly, the need to focus on growth have been cited as other reasons against inflation targeting. 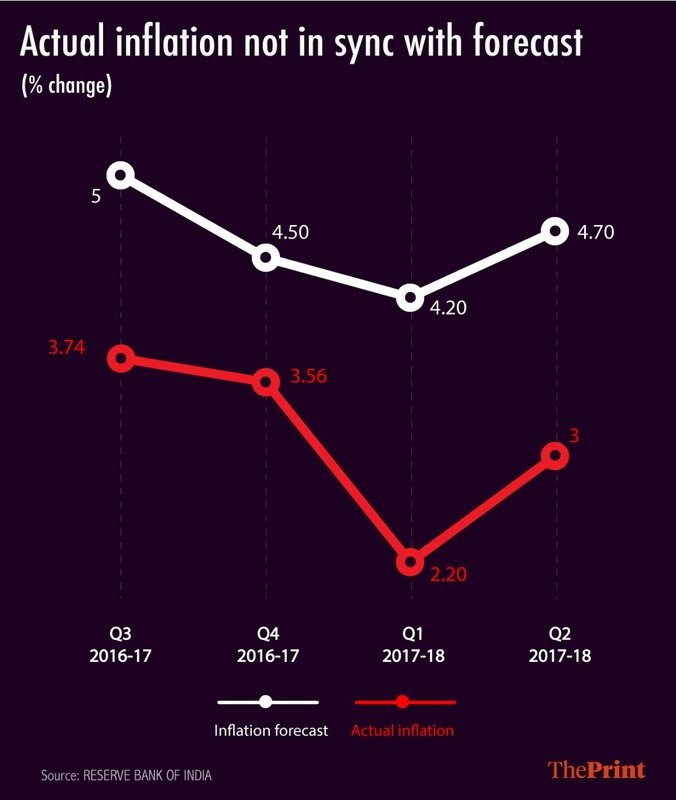 The newly set up MPC’s caution is not surprising as the inflation targeting regime was new and there was widespread concern about whether it would work for India. It is time for RBI to adjust its model forecasts downwards. This would lay the foundations for more realistic inflationary pressures and help the MPC decide more appropriate interest rates.